I want to collaborate with writers and directors to create some short films. I'm very responsive and I'm very keen to work with others. I want to collaborate with people frequently to create a better port folio and gain some experience. I want someone who is committed to film making and is interested in creating quality films. For both experience and eventually competitions. Co-Direct, To collaborate on directing. I want someone who is committed to pushing themselves and are willing to work hard to make films. 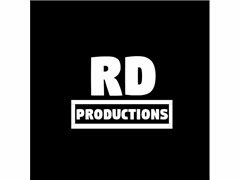 Producer, To produce short films that I create. I need someone who will assist in the production aspects of film-making.